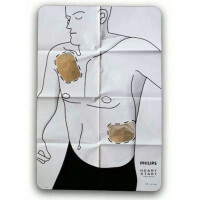 Philips Automated External Defibrillators & Accessories: Remarkable - but what would you expect from Philips? 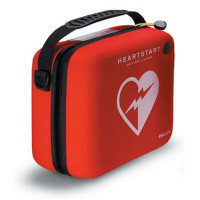 Amazing HeartStart AEDs... Onsite AED - the ONLY AED without a Prescription, FRx - the ONLY AED to change from Adult to Pediatric without changing electrodes, FR3 - the one-hand-sized professional-grade AED with advanced features for the professional responder. 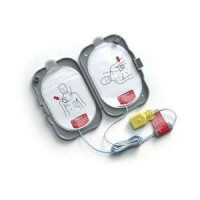 Philips shows again why they are the leader in portable Defibrillation technology! 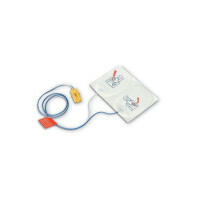 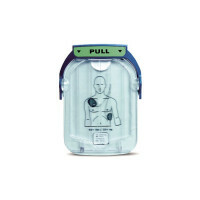 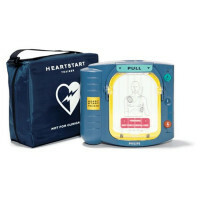 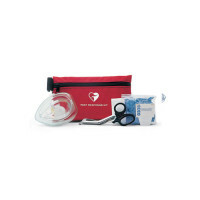 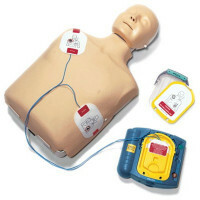 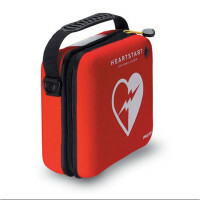 ~ Did you know most FSA & HSA plans cover purchasing an AED for Home use? 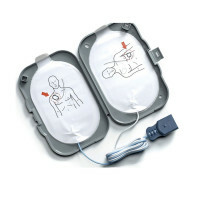 We cannot sell these lifesaving devices for less than the "Manufacturer's Minimum Advertised Price" ONLINE - BUT IF YOU CALL US... Hm... 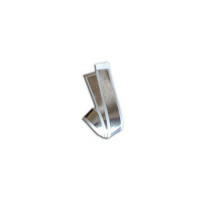 Ask us for 10% off or More! 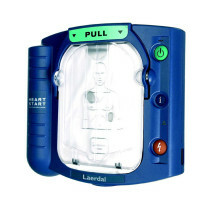 Or if you get a quote for a lower price for retail purchase of this device from any authorized distributor, Show us - We'll Beat that Price! 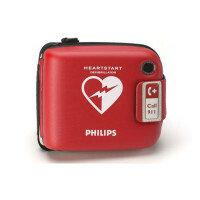 Philips Heart Start AEDs... lifesaving at your fingertips. 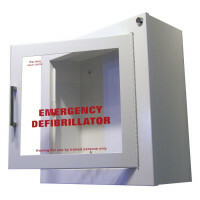 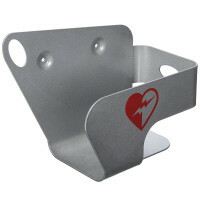 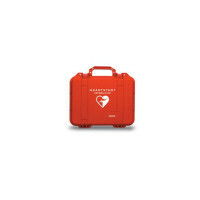 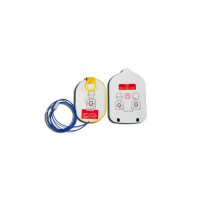 The HeartStart OnSite Defibrillator is designed for the ordinary person in the extraordinary moment. 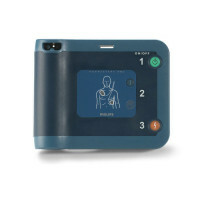 Innovative technology, based on extensive research and user feedback, has produced a defibrillator so easy to use that, with minimal training, you can potentially save the life of a co-worker, friend, or anyone else stricken with sudden cardiac arrest. 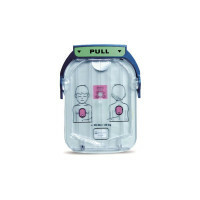 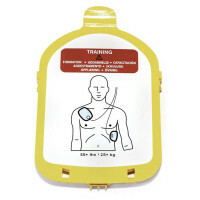 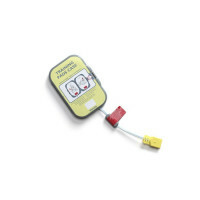 Weighing just 3.3 lbs., this small and lightweight defibrillator can be easily carried to the patient's side. 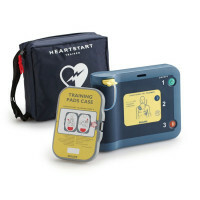 Using clear, natural voice instructions, the OnSite Defibrillator guides you through each step of defibrillation and CPR. 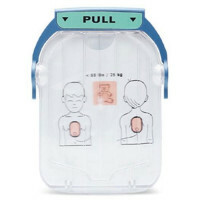 Integrated SMART Pads placed on the patient's bare skin transmit information to the defibrillator, which senses and adapts to your actions every step of the way. 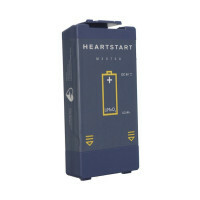 HeartStart OnSite includes proven Philips technologies for heart rhythm assessment (SMART Analysis) and defibrillation energy delivery.